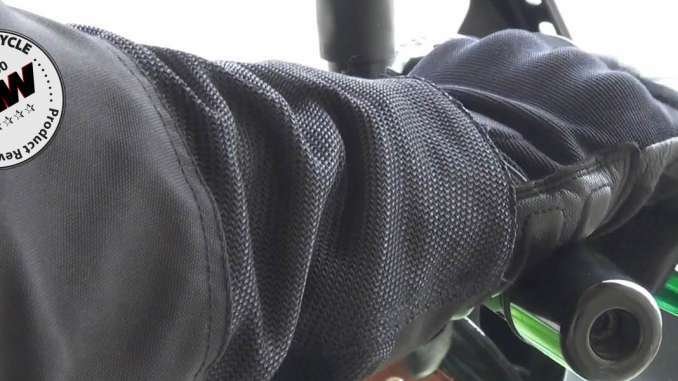 Your gloves can make or break a day of riding. They have to be comfortable and reliable, without sacrificing too much dexterity. After all, they’re your first point of contact with the machine. We put them on and take them off more than other piece of gear, so they have to be durable. With the prevalence of cockpit controls and touch screens, they also need to be versatile. And of course, your hands are one of the first things to hit the ground if you go down. So they have to be rugged. 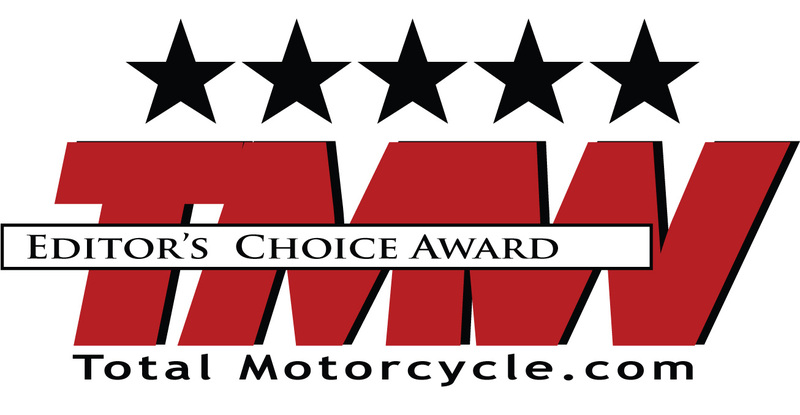 Total Motorcycle reviewed the Passage Gloves from Indian Motorcycle, and found a lot to like. Read on to discover what we thought of them. 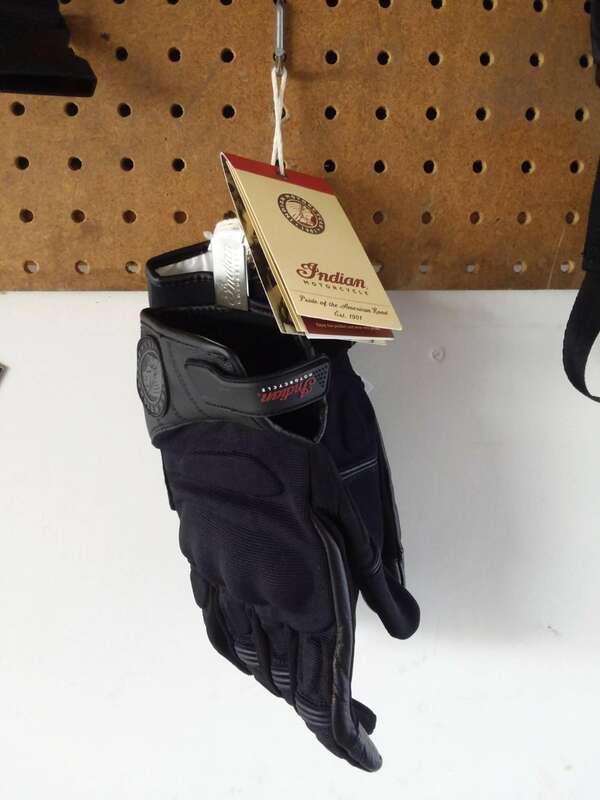 The Passage Gloves by Indian Motorcycle are a timeless, iconic design. They’re completely black except for the handsome Indian logo embossed in red on the leather closure. Leather also adorns the top of the cuffs, a patch on the palm, the middle knuckles, and the tips of the thumb and forefinger on both sides. The rest of the glove is mesh. Hardened knuckles and strategically embedded padding give the glove a menacing, aggressive look, but these elements are tastefully covert. No anime-inspired embellished stitching or techno-derived rubber emblems to clash with the rest of your gear. Simple, black, aggressive. The Passage Gloves from Indian are stylish and iconic. The Passage Gloves fit exactly as the sizing chart on Indian’s website suggest, so measure twice and order once. The cuffs fit very snug and have almost no stretch to them. If, like me, you still wear a watch, you’ll quickly get in the habit of moving it higher up your wrist before donning your gloves. Carrie and I are distance riders, first and foremost. And neither of us use a cruise control or throttle assist device. This means I spend a lot of time with my hand clamped around the twist, rolling on or off to cope with road conditions and flexing cramps out of my palm when they occur. This is all to say, my hands moves around a lot. 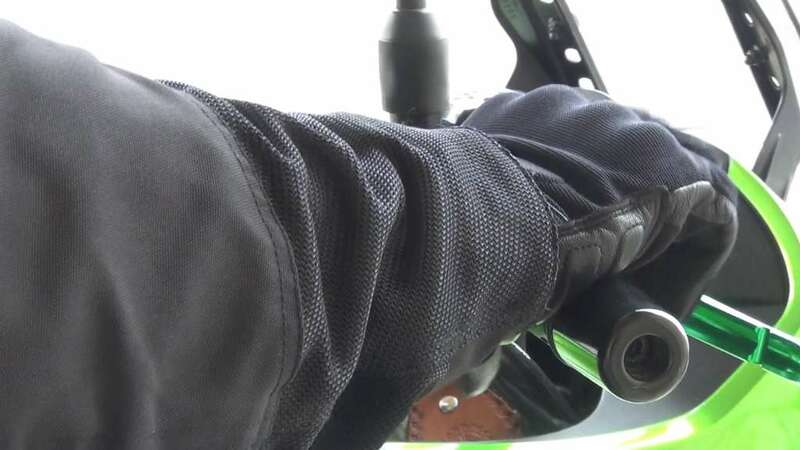 Most of the gloves I’ve owned have a tendency to bunch up or gather in the heel of my thumb, creating a ridge in my palm where it meets the throttle. The Passage Gloves, however, do no such thing. In the 2000+ miles I wore them for this review, not once did they obstruct or impede my control of the bike. The mesh construction makes them most appropriate for moderate to warm temperatures, so keep that in mind. 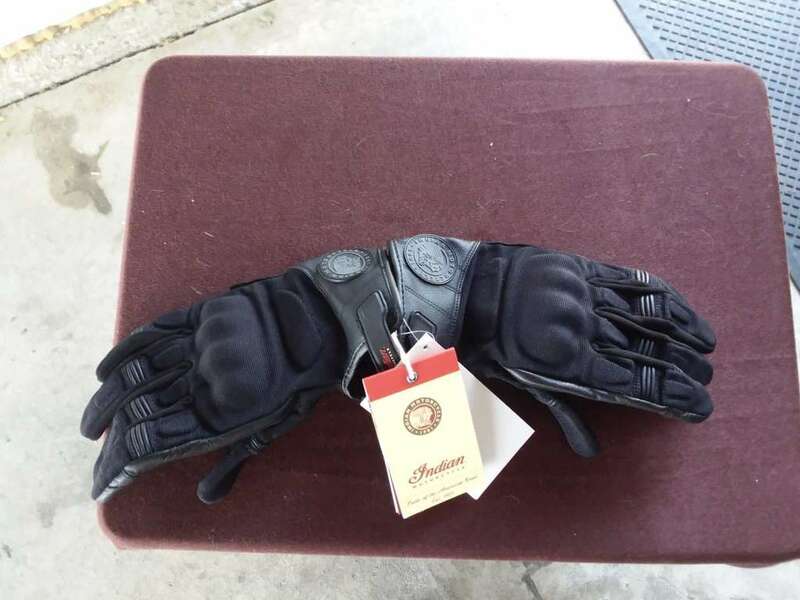 These gloves breath amazingly well, no hot sweaty palms even when daytime temperatures exceeded 100 degrees Fahrenheit. At the other end of the spectrum, the Passage Gloves have kept my hands warm in temperatures down to roughly 55 degrees. Colder than that, though, and you’ll really want something more robust. At 50 degrees, my hands start to get chilly after ten minutes, especially at speeds greater than 45 mph. And as snug as these gloves are, they wouldn’t make a great candidate for liners either. Hardened knuckles and embedded padding add an element of security to these attractive gloves. As noted above, the Passage Gloves fit securely, stay put, and breath well. This all means they’re incredibly functional in appropriate weather. In addition to all that, these gloves feature capacitive touch pads on the thumb and forefinger of each hand. This allows you to operate your mounted cell phone or touchscreen dash instruments with your gloves on, a feature that ranges from simply convenient to downright critical in the right situations. And in a critical situation, these gloves offer all the right features. Embedded pads all the way around, leather piping at the joints, and the hardened knuckle shield. Indian’s Passage Gloves will do everything they can you get you through the worst with as little injury to your hands as possible. At the end of the day, that’s the primary function of a riding glove, and these are sure to deliver on that. Aggressive and functional, the Passage Gloves look at home wrapped around a throttle. A glove is a simple piece of gear, but one we do complicated things with. Whether it’s turning your key, rerouting your navigation, trail-braking through a corner or pumping gas, a glove needs to be up to the challenge. The Passage Gloves from Indian Motorcycle deliver on all these tasks, while offering all-day comfort and timeless style. The only thing they can’t do is keep your hands warm in cooler temperatures, an unfair thing to ask mesh gloves to do in the first place. I also have to mention, these are the first black gloves I’ve ever worn that haven’t turned my hands black after a few hundred miles. 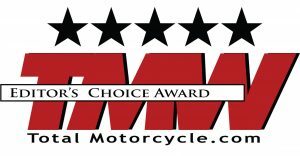 With no fault to speak of, we’re pleased to award the Passage Gloves from Indian our highest honor, the Editors Choice award!